In the 1990s, basic research carried out in Jim Allison's lab at Berkeley led to the discovery that a key molecule called CTLA-4 could "put the brakes" on immune responses. Jim's lab then developed a monoclonal antibody to CTLA-4, and using mouse models, showed that the antibody could "take the brakes off" of existing immune response against tumors, thus providing an effective anti-tumor therapy that was effective against many different types of tumors. In 2010, Ipilimumab a monoclonal antibody to CTLA-4 that had been developed for use in humans, was the first drug ever to show survival benefit in a phase III clinical trials of late stage melanoma and in 2011 was approved for the treatment of patients with metastatic melanoma. This work provides an inspiring example of how basic scientific discovery can lead to life-saving medical advances. 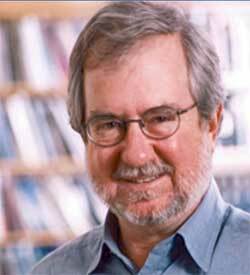 On Wed, March 28, 2012 on the UC Berkeley campus, we will honor Jim Allison and his remarkable accomplishment, with a day of talks ranging from basic immunology to clinical aspects of cancer immunotherapy by a highly talented and distinguished group of investigators (including Jim). Hope to see you there. "Immune Checkpoint Blockade: New Insights and Opportunities"
" Defining the Path from Tumor Antigens to T cell Tolerance"
" How innate mechanisms enable killer cells to detect cancer cells"
" Ipilimumab in the Treatment of Metastatic Melanoma: Proof of Principle for Checkpoint Blockade"
There is no cost to attend but space is limited.